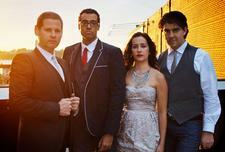 Montalvo Arts Center | News | Duke Ellington featured in 2 upcoming concerts, Chamber Music Series, and more! The music of Duke Ellington is beloved by any fan of jazz. Today, some modern musicians are taking his classic tunes and re-imagining them in new and surprising ways. On Thursday, October, 4, at 7pm, the last of our Summer Concert Series features Joe Jackson & the Bigger Band featuring Regina Carter. Jackson is a five-time Grammy winner who has been combining pop and jazz in exciting ways throughout his career. He performs with the incredible improvisational jazz violinist Regina Carter. Together, they will play brand new arrangements of classic Ellington pieces in a performance you won't want to miss! On Saturday, October 13, at 8pm, the Delfeayo Marsalis Octet takes the stage to present Sweet Thunder: The Music of Duke Ellington. 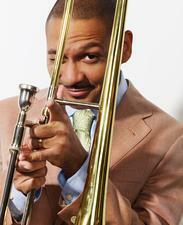 One of the top jazz trombonists performing today, Marsalis has won multiple Grammy awards and has recorded with his brothers Branford and Wynton, as well as Harry Connick Jr and others. For this performance, he has created a fresh new composition for his octet based on the Ellington/Billy Strayhorn suite Such Sweet Thunder. Want to make your concert experience even more special? 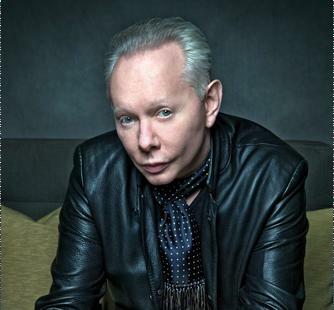 For the Joe Jackson performance, choose Dining on the Terrace and enjoy a gourmet seated dinner before the show on the front Veranda overlooking the scenic Great Lawn. At Delfeayo Marsalis, start your evening with delectable hors d'oeuvres and a specialty cocktail (or two) by indulging in Martini Madness! Join us from January-April 2013 for our popular Villa Chamber Music Series, a showcase of some of today's top classical and contemporary string groups. Performances are all on Sunday afternoons at 3pm in the intimate historic Villa overlooking the scenic Great Lawn, the perfect venue to enjoy an afternoon of music. On January 13, kick off the new year with the Lincoln Trio. Formed in 2003, this trio has been praised for its polished presentations of well-known chamber works and its ability to forge new paths with contemporary repertoire. The group's reputation as a first-rate ensemble draws an eclectic audience of music lovers. 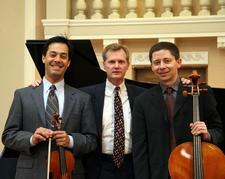 The Saint Michael Trio, a favorite at Montalvo, will return for two performances. On February 10, they perform "The Music of Love," in anticipation of Valentine's Day. Featuring the music of composers bit hard by love, selections will include works by Haydn, Beethoven, Schumann, Brahms and others. Bring your sweetheart! On March 24, it's "Debussy: France's Master Impressionist." Cantankerous and with his life a wreck, Debussy nevertheless wrote music of unsurpassed delicacy and refinement, becoming a truly masterful impressionist. The Saint Michael Trio will show you how he did it in one of their patented "informances," featuring slides, commentary, and demonstrations of Debussy's compositional devices. 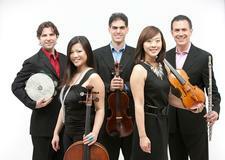 On February 24, join us for the Catalyst Quartet! Described by The New York Times at their Carnegie Hall debut as "energetic and finely burnished...playing with earthy vigor," this group is comprised of top Laureates and alumni of the internationally acclaimed Sphinx Competition for young Black and Latino string players. They combine a commitment to diversity and education with a passion for accessible contemporary works. On March 10, don't miss Classical Jam. This unique ensemble brings together performances of the highest caliber in combination with engaging presentations. Along with a dedication to their individual musical careers, members of Classical Jam are teaching artists at such leading organizations as the Lincoln Center Institute and the New York Philharmonic. Finally, on April 14, finish up the season with the Amphion String Quartet. Hailed for its "precision, assertiveness and vigor" (The New York Times), this group has been performing together since 2009 and has already won awards at numerous international competitions. They were recently selected to join the roster of the Lincoln center's Chamber Music Society Two for a three-year residency. Tickets for these concerts ($30 General; $25 for Members; or $20 each if purchasing tickets to three or more in the series) are available online anytime, or through the Box Office at 408-961-5858 10am-4pm Monday-Friday. 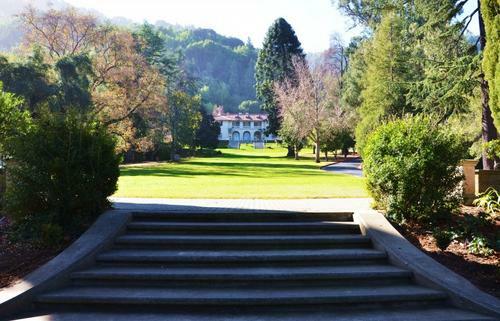 Montalvo's Family Theatre shows invite children and their parents to experience fun and educational productions and meet the actors and artists involved. Produced by both local and national touring groups, these diverse shows are designed for both children and their parents. Coming up this fall, the season begins with The Man Who Planted Trees on Sunday, October 14, at noon. Produced by Puppet State Theatre Company, this adaptation of Jean Giono's classic tells the inspiring story of a shepherd who plants a forest, acorn by acorn, transforming a barren wasteland. As touching as it is hilarious, The Man Who Planted Trees shows us the difference one man (and his dog!) can make to the world. 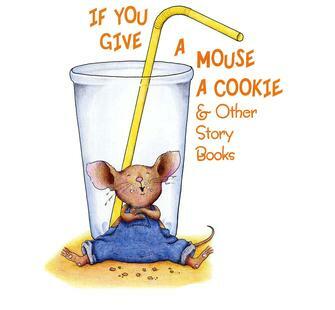 Suitable for adults and children ages 4 and up. Tickets are only available through the Box Office at 408-961-5858 10am-4pm Monday-Friday. Scholarships are available for families who are otherwise unable to attend. Click here for more info. Join us tomorrow, Friday, August 31, at 6pm, for Final Fridays with Fritz Haeg, a fascinating and FREE glimpse at the work of one of our artists-in-residence. Haeg is a designer, architect, community organizer, writer, and educator whose recent projects include Sundown Schoolhouse, an itinerant educational program; Edible Estates, which replaced domestic front lawns with edible landscapes; and Animal Estates, which created homes for native animals in cities around the world. Learn more about his work at his website here. Haeg will showcase some of his projects and discuss how his work explores the relationships between urban residents, plants, food, and wildlife. Light snacks will be provided; beer and wine will be available for purchase. 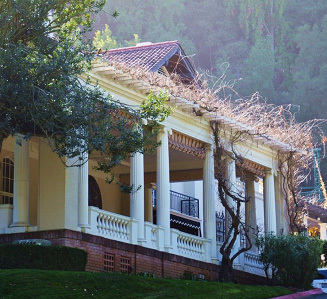 Have you ever wanted to learn more about Montalvo's historic Villa and beautiful grounds? There is so much to see and such a rich history here that the perfect way to experience it all is through a Docent-Guided Tour. These walking tours are led by volunteer docents and occur every Sunday and Tuesday at 10am. Learn about Montalvo founder Senator James Phelan, his life and his friends, the arts center then and now, and more. Docents are well-versed in Montalvo lore, and the stories they tell might surprise you! Tours are approximately 2 hours, and are FREE for Montalvo members (plus 1 guest) or just $10 per person for non-members. Space is limited and advance reservations are required. For a full list of upcoming tours, click here or call the Box Office at 408-961-5858 10am-4pm Mon-Fri for more information and to make a reservation.